Love catching Pokémon? Love attending PAX West? But what about catching Pokémon at PAX West? 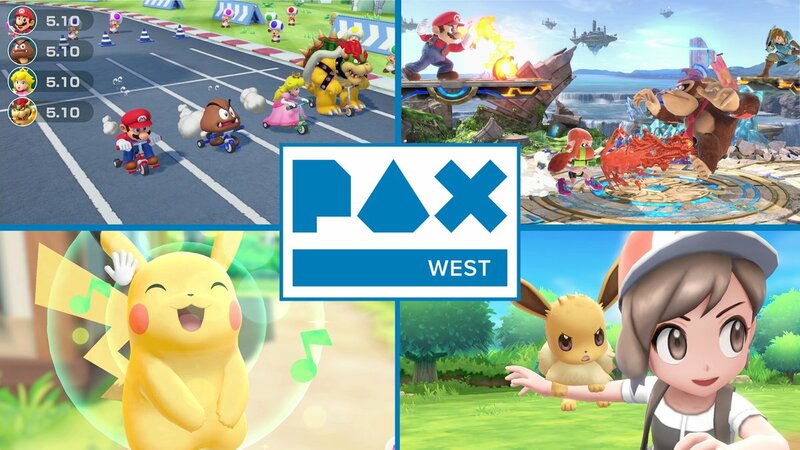 REDMOND, Wash., Aug. 23, 2018 – Some of the most anticipated Nintendo Switch games of the upcoming holiday season are coming to this year’s PAX West expo in Seattle from Aug. 31 to Sept. 3. Games like Super Smash Bros. Ultimate, Super Mario Party, Pokémon: Let’s Go, Pikachu! and Pokémon: Let’s Go, Eevee! will join Diablo III: Eternal Collection from Blizzard Entertainment, Starlink: Battle for Atlas from Ubisoft and DRAGON BALL FighterZ from BANDAI NAMCO Entertainment as playable games in Nintendo’s booth. The booth will also feature the Nindies Arcade, full of hands-on demos of upcoming indie games, including Travis Strikes Again: No More Heroes from Grasshopper Manufacture Inc. Fans can also take part in fun activities related to the Super Mario Party, Pokémon: Let’s Go, Pikachu! and Pokémon: Let’s Go, Eevee! games throughout the four-day show.